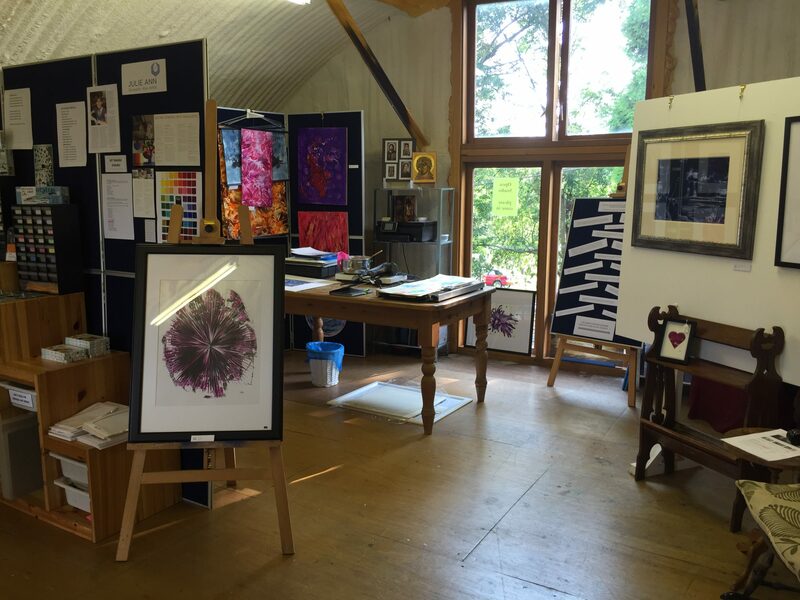 I’ve had over 50 visitors come through Studio 4, at The Stables Studios in Bourne End so far… and what an interesting mix…! I have met a couple of the cutest toddlers I have seen in a long time, who even left me some lovely artwork of their own in my visitors book! Start ‘em young… that’s what I say! I’ve chatted with some fabulous, and oh so interested ladies…. often accompanied by their hubby’s, who park themselves in the rocking chair, checking out the building structure on the promise of a pint down the road ‘just as soon as we are finished’…!!! I’ve sold artwork, cards and plenty of wax supplies, and had a booking for an art talk, so has been very productive so far. There has been a good response to my new online course too…. The internet is opening up so many new ways of reaching people, it’s a very exciting thing to be a part of. I’ve discovered I enjoy creating digitally just as much as I do with a paintbrush or an iron! There is a whole corner display of some of my ‘students’ encaustic work, which has created a lot of interest, seeing how they’ve learnt the techniques and made it their own. At this point… I must say “Thank You” to them, for being willing to show their work, (I won’t name names, they know who they are!) For a couple, it’s their first time exhibiting… which is a big step! So, officially want to thank them here, for being brave enough to share their work, and help encourage others. Anyhow, it’s such a buzz with people visiting, seeing them go away inspired, and enthusiastic, or having learned something new is great. It also helps me to put my work into perspective, it can be a lonely old time in an artists studio sometimes, so meeting people and receiving that feedback is awesome too. 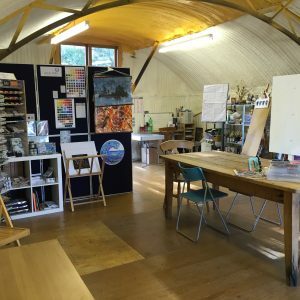 Each time I do Open Studios, I meet another ‘new’ person, who has a contact here, or knows someone there, or has experience of…. March 2016 – Yep… Lets do it…. 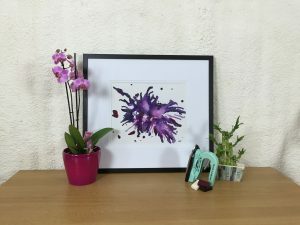 Julie Ann, Encaustic Wax Art… Studio 4, The Stables Studios, Pouchen End Lane, Bourne End, Hemel Hempstead, Hertfordshire, HP1 2SA. Entry 8b in the Herts Visual Arts brochure. Look out for the yellow signs to direct you in!